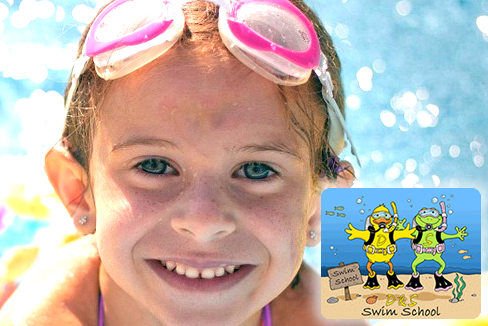 Teach Your Kids to swim the easy way with D and S Swim School! Beginners (Reception age 5yrs +) – In this class there is a maximum of 5 children in a class with 1 teacher. The instructor will always be in the pool with the children, its important for the child to feel safe and secure in the pool with their teacher. The children will work on front crawl, backstroke and breast stroke using a variety of swimming aids until they are able to confidently swim 5 metres unaided, they will then be ready to move onto the Improver level. Improvers – In this class there is a maximum of 5 children in a class with 1 teacher, the main focus is to develop the children’s technique working on body position, skills and technique for front crawl, back stroke and breast stroke. Half Lengths – Once a child has completed the improver level they will progress into the half lengths class, the teacher will help the children to improve their technique and stamina so that they are able to progress to the full lengths class.